Those times of “It” might have waned mainly in the context of handbags. 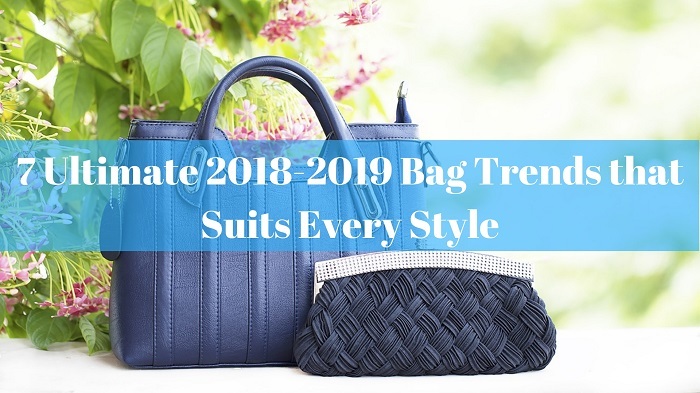 But, it does not really mean that there are no new trends in the arm candies for those who loves to purchase bags more than any other in a season. Everybody has different choices, different styles of getting into things and different perceptions for different things. Some may like a fluffy bag while some may not prefer buying it. Also, some people wants to look simple and pretty while some of them wants to be trendy and stylish. Accessories are the easier ways to update your look for the upcoming seasons and you know what the good news is for this winter? The bag trends are anything but boring. From PVC bags to basket bags, this season’s bags offers will make you go crazy and are equal parts playful and chic. So, are you looking to make an investment over the coming weeks or months? Purchase the styles that are trending these days and that the fashion set now onwards cannot get enough of. There are bags for everyone to have fun with this season. Why bags are important for fashion and utility? A list of different types of bags that are in trend. Fashion is something that explores out the beauty, the outfit and the glamour of people. But, as for everything some sort of apparatus is required, similarly for enhancing the beauty and glamour certain kinds of accessories including the proper outfit, foot-wears, bags, etc. are required. Bags are the most essential components among these accessories because they play a dual role- one mentioned above that they are needed for fashion and the other for the utility purposes. Bags also helps us in carrying certain items which are necessary to be carried if we go out somewhere so that we can keep our belongings safely with us. So, this way these bags are really very important for fashion and utility. These bags were very famous before in some ages but for the first time since the early 2000s, the clear PVC bag is back now. Making the perfect all season accessory that takes you from the beach to the street style scene, what all that you carry inside your see-through bag is only a statement- making this season. Check out the latest designs of them. These are some sort of traditional chain-link shoulder bags that brought an edge to the demure classic. A conventional chain strap with a rain-resistant, logo-heavy bag. They may be a full return to the 80’s office staple or may be a push to switching it up, there is this chain bag which suits up to every situation. Provided in new designs and seems very stylish.They are also available in many vibrant colours and in different sizes varying from short chains to the long ones reaching your waist. The most trending and the most stylish kind of a bag that would match mostly upon with the traditional outfits. They are basically the unconventional handles namely the round hoop handle which are the perfect way to instantly upgrade your look and beauty this season. They come in many different forms ranging from tiny handhelds to large carry-all totes that mainly proves to be an art-inspired way to top off your outfit. These are the colours of all seasons specially the spring season. It seems to be a lovely, caramel, warming, autumnal palette of tan and butterscotch. Talking about its shape, well they are available in the shape of bucket bags, rucksacks and the everyday shoulder bags. In actual, it is the shade of choice for those women who are chic-as-hell and who mainly lives in the Row or Lemaire and whose demure disintegrates all for once a new drop hits the “just-in” sections of their favourite retailers. A famous and the trendy sort of a bag which gives the finishing of peacock style materials in a numerous collection so heavily in one season, you also wonder that may be if the designers are all in cahoots. It is a kind of embossed leather technique and it has been featuring heavily in the waiting-list-inducing styles such as Lemaire. These are very stylish and goes greatly with traditional outfit and also available for all seasons. Apparently, these bags are also available in the form of hand-held totes. Everybody loves a hands-free moment and at the autumn shows or anywhere you go, you could not move for laid-back, sporty bum-bags that are slung across your body. 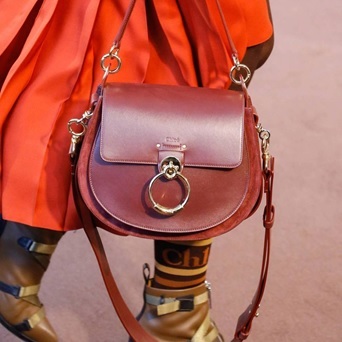 We generally get irritated through such happenings but now in this era they are transformed into a more refined belt-bag hybrid version that are worn over the shoulder just like a handbag or a fastened tight over tailoring. They dominates with the slick leather versions in sleek printed crocodile. They seem very decent and pretty wearing on the shoulders. A kind of a bag that holds everything inside itself as after all, it fits in the new pack of super totes and shoppers. They are generally very huge and vast and will also hold each and everything from day-to-night enhancers, to the gym kit to a pile of new-born’s nappies. These are very pretty and are really helpful for many things to be carried at the same point of time. Available in beautiful designs and colours that never goes out of fashion. And also, why would someone not go for such a bag where everything could be stored all in one? So, this was a list of some of the best stylish and trendy handbags. I know you must have chosen at least one for you which you wish to get it by your side as soon as possible. Also, many “bag offers” related to different sort of bags are provided on the purchase relatively with good discounts which makes you much more excited to buy them as soon as possible. So, hurry up and choose the best for you and add a new collection of bags to your wardrobe.